Developing a mobile app is just the beginning. To make sure your app is running fine over 3 billion strong Smartphone carrying audience using all types of devices, mobile operating systems, and new and old versions of everything. That takes a lot of mobile testing. 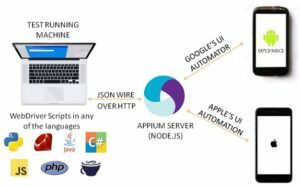 The only way to cover it all is with automation testing and in this introductory Appium tutorial post, we will introduce to Appium, Design concepts in Appium and Appium Architecture. It’s no surprise, then, that developing, testing, and releasing quality mobile apps quickly and efficiently is a high priority for most organizations—as it should be! Fortunately, mobile development tools are evolving to meet these needs, with modern development teams having access to better test automation than ever before. Say Hello to Appium, the most popular automation testing tool for mobile software testing. Appium, an open-source tool for automating mobile applications on iOS and Android platforms has been around in one form or another since 2012. Since its early days, Appium has grown and matured significantly.Go ahead and get started. In January 2013, Sauce Labs decided to fully back Appium and provide more developer power. Since then, Appium has been given various awards and is now the most popular open-source cross-platform mobile automation framework. Stability of the tool has improved, bugs prioritized and fixed, and features have been added. Sauce Labs has now increased the number of developers it donates to working on Appium, but the entire community is involved in guiding the project and contributing to it, and project governance happens in the open, on public mailing lists and GitHub’s issue tracker. 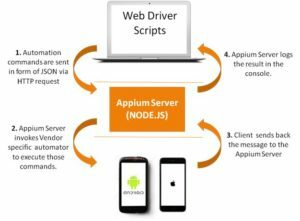 Appium allows native, hybrid and web application testing and supports automation test on physical devices as well as on emulator or simulator both. You shouldn’t have to recompile your app or modify it in any way. Say if you have to modify your app to automate it, you are at risk. Because you tested one version of the app (modified one) and you are submitting another version to app stores. Appium allows you to test the same app (without any modifications) that you will be submitting to app stores. A mobile automation framework should be open source, in spirit and practice as well as in name!. This is pretty self-explanatory. So how does the structure of the Appium project live out the philosophy that we discussed above? Requirement #2 is met by wrapping the vendor-provided frameworks in one API, theWebDriver WebDriver (aka “Selenium WebDriver”) specifies a client-server protocol (known as the JSON Wire Protocol). Given this client-server architecture, a client written in any language can be used to send the appropriate HTTP requests to the server. 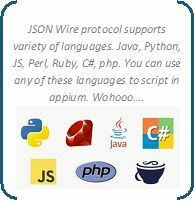 There are already clients written in every popular programming language that you can find at http://appium.io/downloads. This also means that you’re free to use whatever test runner and test framework you want; the client libraries are simply HTTP clients and can be mixed into your code any way you please. In other words, Appium & WebDriver clients are not technically “test frameworks” — they are “automation libraries”. You can manage your test environment any way you like! Requirement #3 is met in the same way: WebDriver has become the de facto standard for automating web browsers. Appium developers have extended the protocol with extra API methods useful for mobile automation. Appium at its core is a webserver written in Node.js that exposes a REST API. The Appium server does the following. Appium server logs the results in console. 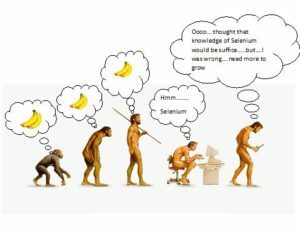 That’s pretty much it about Appium architecture. There are a couple of additional concepts (like session and desired capabilities), we will explain them when we actually start setting up Appium and do hands on. Atlast, I want to pin point few of the pros and cons of using Appium as Mobile Apps Automation Testing Tool. I have also developed a popular Appium Tutorial course which will teach you the basics of mobile software testing, automating browsers apps, working with appium for android and appium for ios which will get you up to speed with landing a job as mobile automation testing engineer.